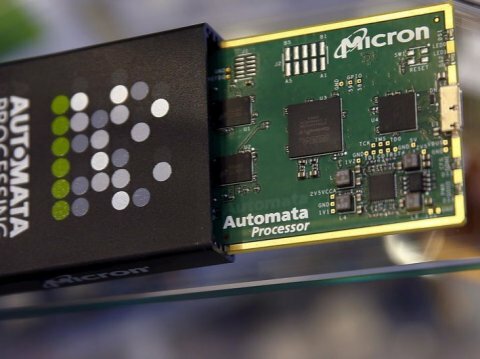 Barcelona, august 17, 2015.- According to information from the business magazine Forbes, Intel and Micron announced a new memory chip technology chips that’s purported to be 1000 times faster than the NAND flash memory found in most smartphones and tablets. Although Intel and Micron don’t entirely know how others could use this new memory technology, they offered a few ideas. In gaming, graphics are rendered in real time, and every so often, the game needs to load a new set of images. Using the 3D XPoint memory, all that data needed for processing graphics could be accessed much faster and loading screens could be eliminated. Pattern recognition also could get a big boost, allowing applications like biometric sensors to handle more data more quickly. An application like Siri could do more processing on the iPhone rather than having to send data back and forth to a data center. In medicine, the new memory technology could bring real-time gene sequencing to see if, for example, a patient’s cancer has a genetic mutation. Crooke said 3D XPoint could be used in conjunction with NAND flash memory chips. Just adding the new memory technology will bump up speeds a 1000 times. “3D NAND will continue to exist as the densest thing, but this new technology adds new layer in the memory hierarchy,” said Crooke. “It’s a new class of memory chip between memory and storage.” 3D XPoint isn’t as fast as dynamic random access memory (DRAM), but unlike DRAM, it will be able to hold onto data after a device is powered off. Intel and Micron have been working together since 2006 in the NAND memory business. 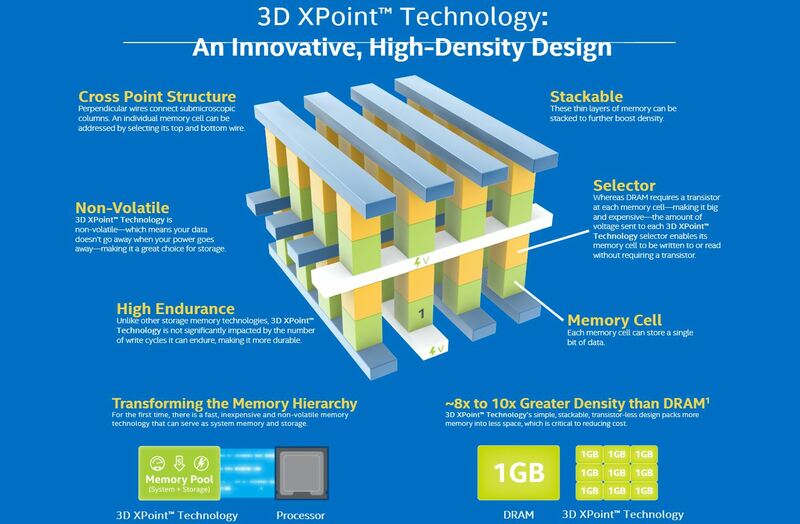 Research into the 3D XPoint technology began back in 2010. “This is something that many people thought was impossible. Many people gave up trying to accomplish this,” said Crooke. “It takes the power of companies like Micron and Intel and sustained investment to accomplish something others thought impossible. The memory business is a rare bright spot for Intel, whose core chip business has been struggling. The chipmaking giant doesn’t break out its NAND revenue, but it said recently that the business is growing 40% annually. Big data in the supply chain – mere hype or a useful tool?